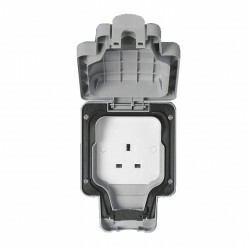 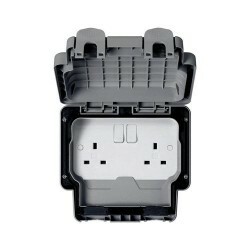 MK Electric Masterseal Plus™ Grey 1 Gang IP66 Switch Enclosure at UK Electrical Supplies. 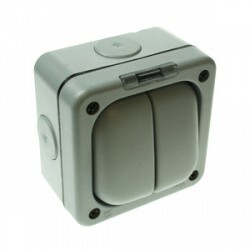 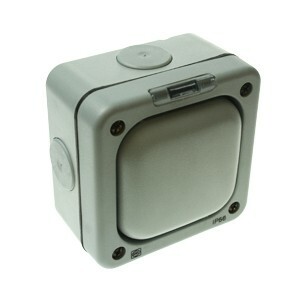 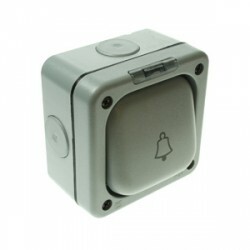 The MK Electric Grey 1 Gang Switch Enclosure (K56420GRY) is a durable wiring accessory designed for use in the most challenging indoor and outdoor settings. 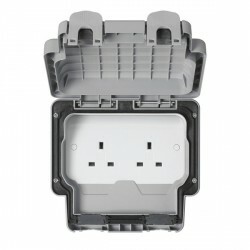 As part of the Masterseal Plus™ range, it offers IP66 rated protection against dust and water, along with tough polycarbonate construction that won’t fade or crack in UV light. 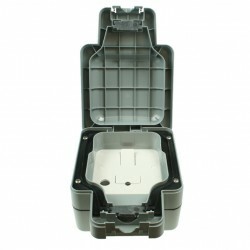 This versatile switch enclosure can accommodate any single Masterseal Plus™ switch modules, including everything from 10A single pole modules to 20A intermediate modules.